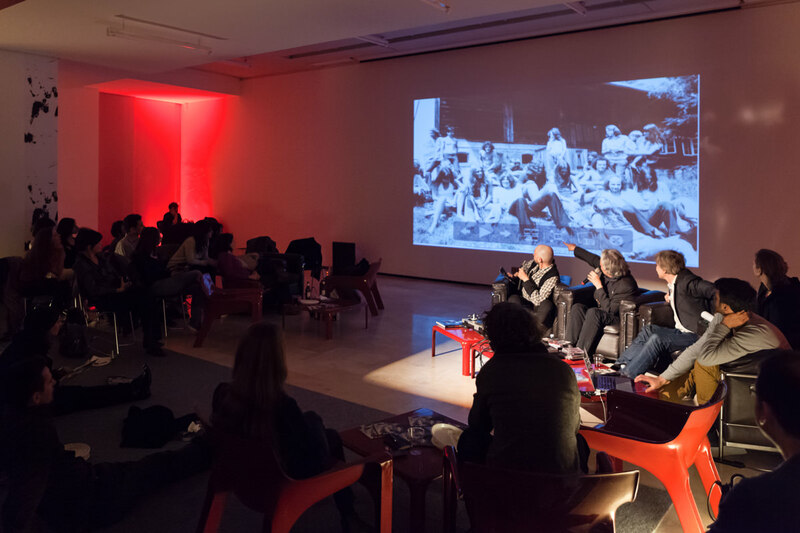 Informal symposium, listening session, experiment in multisensory immersion: LISTEN is a series of encounters on Swiss popular culture and music in particular. A mixture of contributions of experts and sounds gathered from record collections, tapes, archival materials. The interiors of the Swiss Institute in Rome will be transformed into comfortable listening rooms where the audience can participate not in a mere lecture, but in an immersive gathering along the winding paths of sound. The first appointment of the series is on the underground scene of the 1960s and 1970s and the musics that formed its soundtrack: psychedelic folk, acid rock, kosmische electronics… The stories of Swiss hippiedom, between Alpine communes and off-off venues, will be told by Samuel Mumenthaler, musician, historian and curator of exhibitions on the birth of Swiss rock music. he will be joined, in an ideal comparison with what happened in Italy during the same period, by Matteo Guarnaccia: visual artist, a figure of reference for the Italian underground, author of books and essays for Rizzoli, Shake, Stampa Alternativa etc. All the LISTEN encounters are accompanied by listening sessions featuring music selected by the guests at each event, as well as visual materials (photos, films, publications from the era) and the publication of a special limited-edition fanzine containing the materials selected by the editor of each issue: for LISTEN #1, the snapshots of hippie communes, posters and underground magazine covers have been chosen by Samuel Mumenthaler. The LISTEN series is part of Popular Helvetica – from folk traditions to new urban rituals, the project organized by Francesco de Figueiredo and Valerio Mattioli for the Swiss Institute in Rome to document the evolution of Swiss popular music, from age-old folk traditions to the complex forms of the contemporary world.